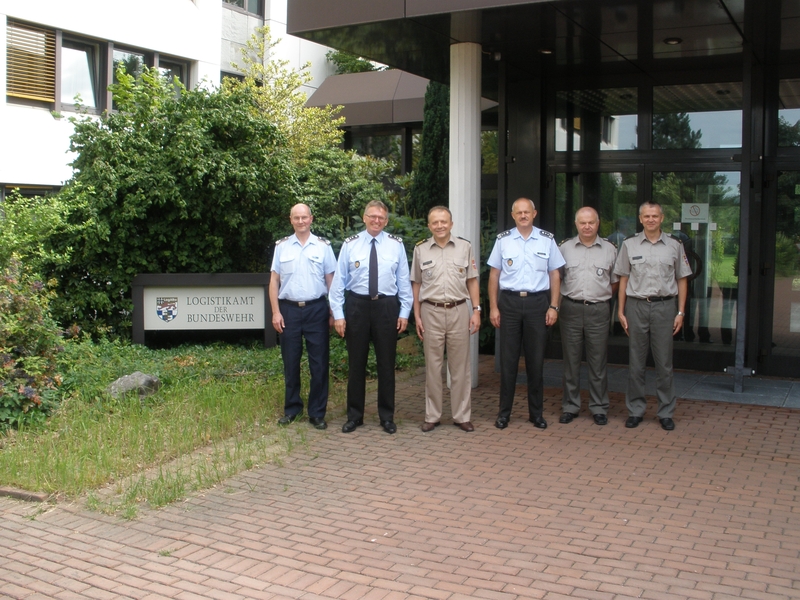 Delegation of Serbian Ministry of Defence headed by Col. Zorana Spasojevic, director of Directorate of Standardization, Codification and Metrology, visited National Codification Bureau of German Bundeswehr from 25th to 29th June at Bundeswehr Logistics Office, St August. Tree days meeting was organized as expert talks and include 12 experts from both sides. Serbian delegation has been warmly welcomed by Director Col. Dietrich Robaszkiewicz. Col. Robaszkiewicz introduced our delegation with current reorganization, new vision, tasks, activities and plans of German NCB. After that, Serbian achievement in codification and plans for Tier 2 membership in NATO Codification System has been presented. Expert talks include various subjects in the codification matter, including authority and responsibility of single and item manager in life circle, codification as the fundamental base of supply chain management, ammunition code and references, application of industrial standard S200M and data quality management in codification.